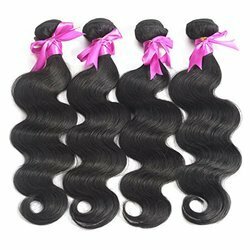 Leading Manufacturer of indian virgin human weft hair, virgin indian weave hair, virgin remy straight hair, virgin indian hair and silky straight hair extensions from New Delhi. Since the inception of our company, we manufacture and supply the optimum quality of Indian Virgin Human Hair Weft. 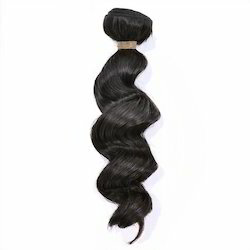 We are recognized as the leading manufacturers and suppliers of Virgin Indian Weave Hair. With years of experience in this domain, we are capable of manufacturing an exclusive range of Virgin Remy Straight Hair. These are available in different length and colors. We use natural products accompanied with modern techniques in manufacturing our products. Moreover, we have a team of professional experts who test our products on various parameters before the delivery of the placed orders. 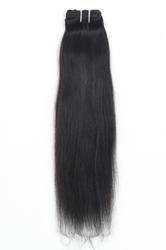 Size: from 8" to 28-35"
The feel of temple raw hair is in this products. 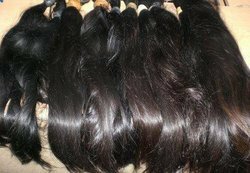 We BIR hair exports and manufacturing unit in India, we export the finest quality of human hair: so natural looking, as it grows right out of your scalp. our easy to install hair extensions are uniquely designed to best suit your need of convenience, quality and styling versatility. er have used the best quality youthful hair that grantee against tangling, shedding , color bleeding and lice. since we fully stand behind our product as our hair is 100% virgin hair quality. rock the look you fancy, with our protective style extensions and turn head and stop hearth.